NTEA wants to celebrate members' successes and histories. As one way to achieve this, we've established "Moment in Time." Each Thursday through social media, an NTEA member company is highlighted. And each month, two companies are featured in NTEA News. This week's featured member is SAF-HOLLAND Inc - an NTEA Manufacturer Member since 2012. Learn more. 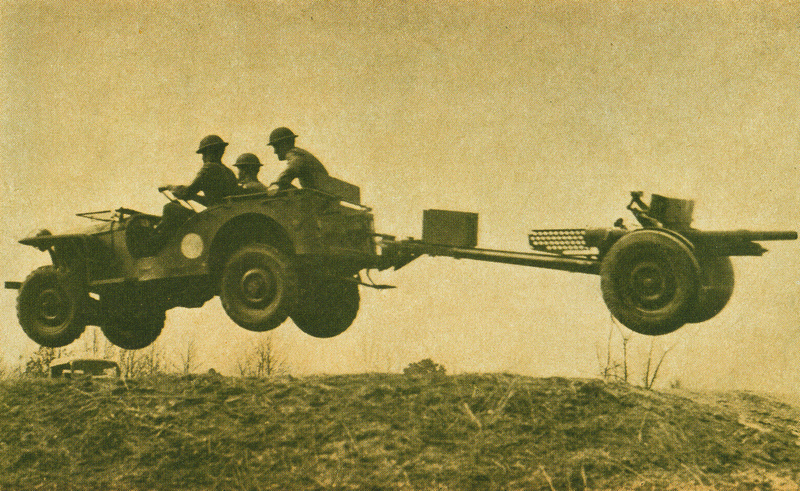 Top: Jeep equipped with SAF-HOLLAND's PH110 pintle hook. 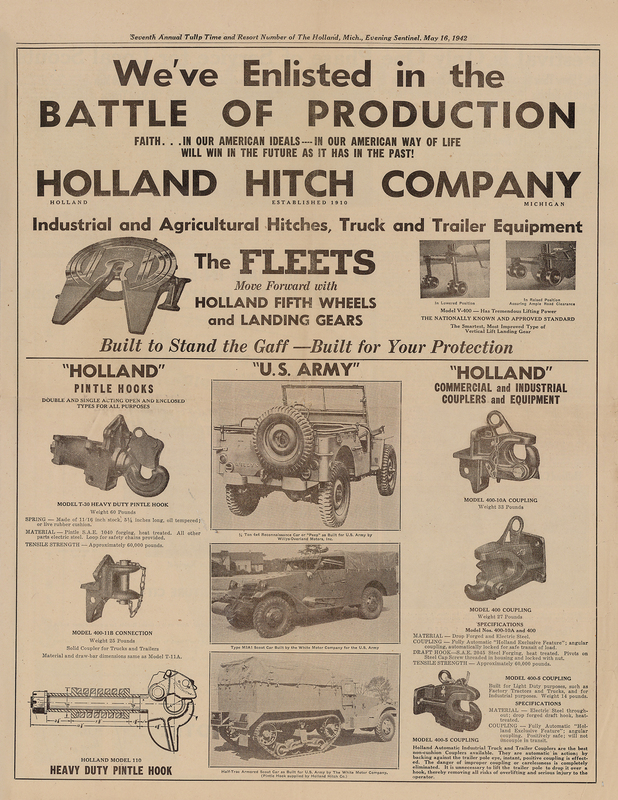 Middle, full-page ad in Holland Sentinel supporting WWII effort, 1942. 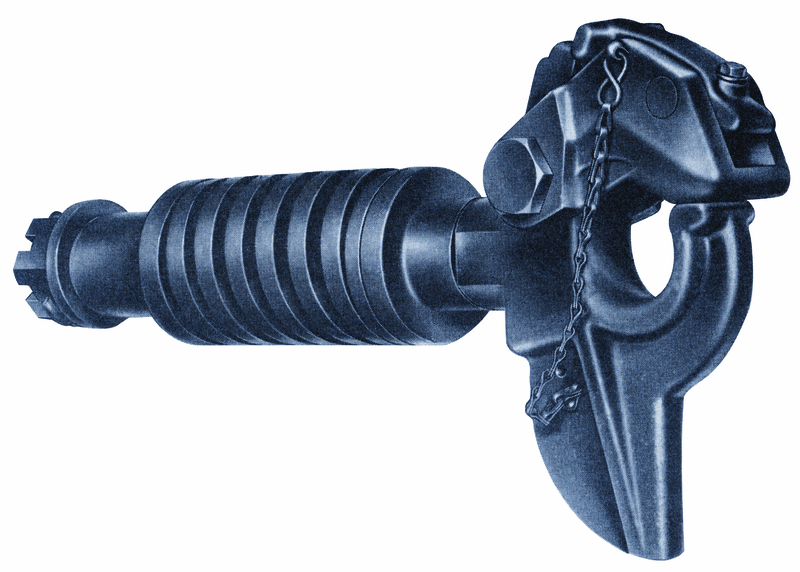 The company sold more than 1,000,000 HD PH110 pintle hooks during the war (shown in bottom left corner of ad). Bottom, PH110, 1939. See more and be included. View our slideshow of photos graciously contributed by NTEA members. These historical images showcase their businesses - and the work truck industry’s evolution - from the beginning to modern times. If you haven’t yet submitted your photos and would like to be included in a future "Moment in Time," please send your photo and caption - including product name and era/year - to laura@ntea.com. Increase your company's visibility by reaching thousands of qualified decision-makers. Please contact NTEA Advertising Manager Bridget Hernandez at 248-479-8917 or bridget@ntea.com to learn how NTEA can help you market your company and products to the work truck industry. Learn more.